Big thanks to Garnet Hertz for including a piece of mine in his new Critical Making zine. I’m honored to be included with so many great artists in this publication. 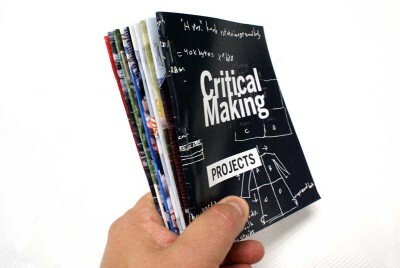 A handmade book project by Garnet Hertz in the field of critical technical practice and critically-engaged maker culture. Critical making is defined by Ratto as exploring how hands-on productive work – making – can supplement and extend critical reflection on the relations between digital technologies and society. It also can be thought of as an appeal to makers to be critically engaged with culture, history and society.